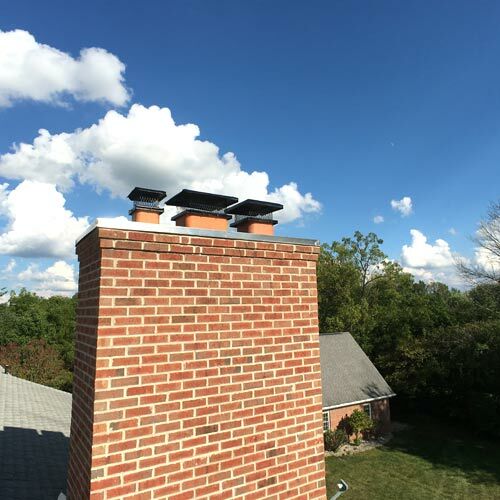 Below we walk you through a recent Zionsville chimney rebuild. Zionsville is located in the “extreme southeast area of Boone County, Indiana, in Eagle Township, northwest of Indianapolis”. It’s known for its village-style downtown area, strong school district, and large dwellings where many local professional athletes choose to reside. 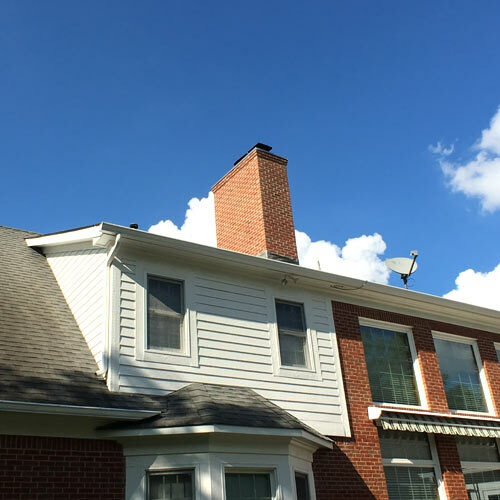 We received a “leaky chimney” call from our customer who was expressing concerns of water entering the home. They informed us that different “roofers” had been out to resolve the issue, but their attempts to stop the leak were futile. 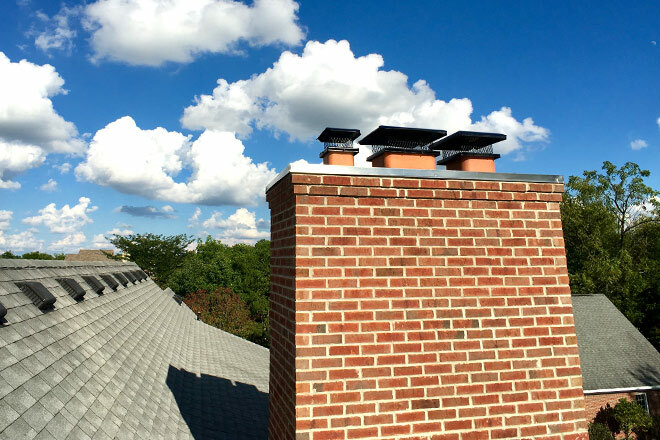 Being familiar with this very situation, we immediately scheduled a chimney inspection with the customer. Our Level II Inspection revealed a number of areas where water was entering. Not to our surprise, it had nothing to do with the roof! 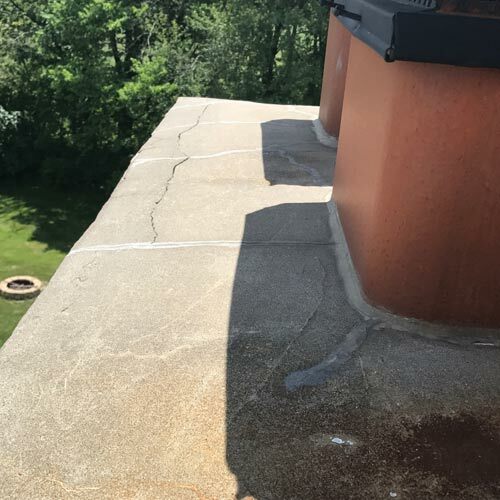 As you can see in the pictures below, our customer’s concrete crown was severely cracked, giving water easy entry to the inside of the chimney. We also noted the majority of the brick were cracked from internal moisture and freeze-thaw cycles. 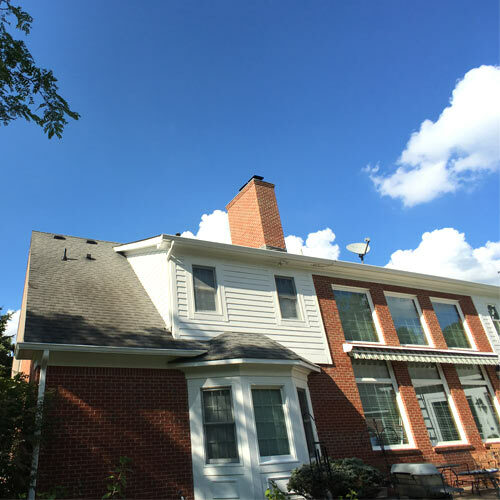 Enough brick were damaged that the only reasonable repair was a roofline rebuild. 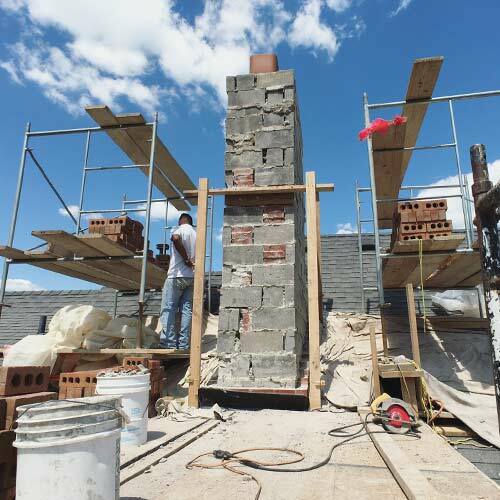 After the work was approved, we kicked things off with a brick match. 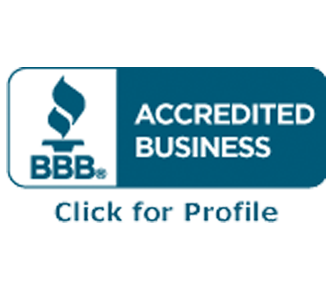 Our team went through an extensive process in finding not just a good match, but the match! It took a lot of digging, phone calls, and long drives. 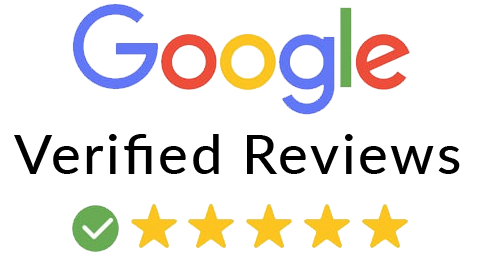 But after going above and beyond for our customer, the end result was totally worth it. 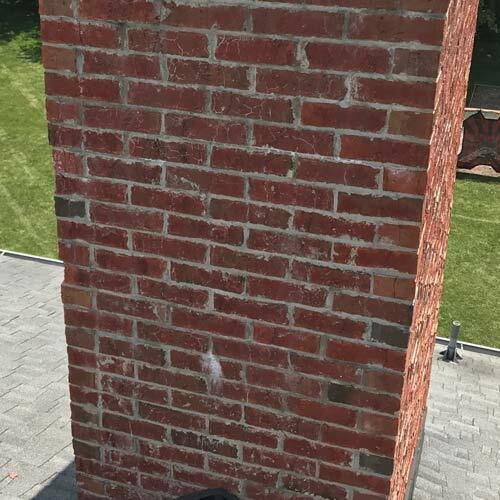 As you can see below, the brick matched the home perfectly! 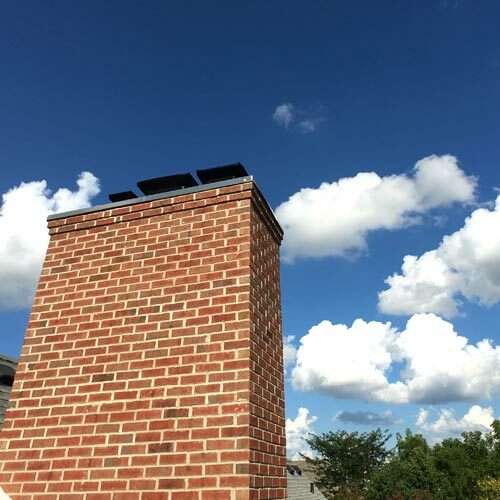 We rebuilt the chimney equipping it with a stair-step out finish, which helps shed water away. Instead of installing a thin concrete crown as before, we upgraded our customer to a stainless steel chase cover. 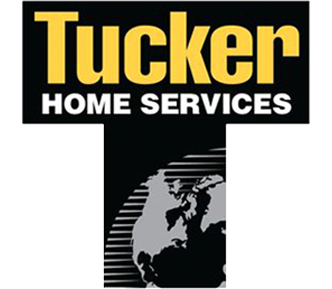 This provided them with a lifetime warranty and a classy finished look. No more cracking or water entry for our Zionsville friends. 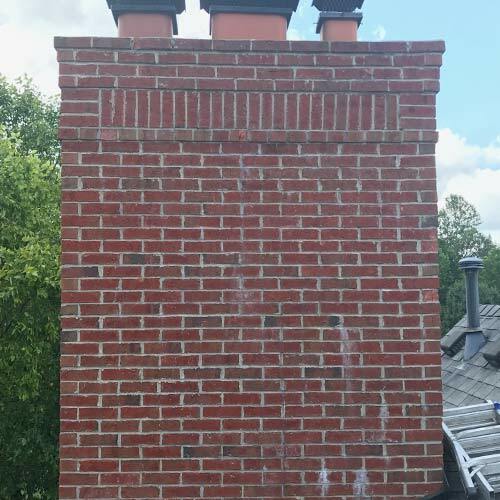 Take a look at the before and after photos below and notice the seamless match between the brick on the chimney and home.